The New Jersey US Circuit Court of Appeals ruling that says the Garden State doesn’t possess the right to sidestep a longstanding federal law on sports betting will get a fresh look on December 4. At that time, the United States Supreme Court will review the appeals court’s earlier decision preventing New Jersey’s horse racetracks and Atlantic City casinos from offering odds on professional and collegiate sporting events. 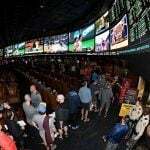 The issue at hand is the Professional and Amateur Sports Protection Act (PASPA), a congressional statute signed into law in 1992 that made sports betting illegal in all but Nevada, Delaware, Oregon, and Montana. New Jersey argues that the federal government is violating the US Constitution by making 46 states impose a law that isn’t unilaterally enforced across the nation. New Jersey’s legal fight also points to the Tenth Amendment, which says that powers not explicitly reserved to the federal government in the US Constitution are reserved for the states. 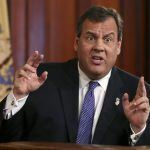 The NCAA, NFL, MLB, NBA, and NHL filed a lawsuit against New Jersey after Governor Chris Christie (R) signed into law a piece of legislation that authorized sports betting markets. Lower courts have routinely sided with the NCAA and Big Four, but less than two months from now, the country’s highest court will begin reviewing the case for what will likely have monumental consequences. There seems to be a growing sentiment among Americans that gambling on sports should be legalized across the board. A recent poll conducted by the University of Massachusetts and The Washington Post found that 55 percent support amending or repealing PASPA. Sports commissioners are also lessening their previously held opposition. While the NFL’s Roger Goodell remains adamantly opposed on concerns that gambling would jeopardize the integrity of professional football games, NBA Commissioner Adam Silver believes just the opposite is true. Silver says a regulated industry, as opposed to an underground one that is often operated through offshore books, would provide better safeguards for those who wager on games. Las Vegas, America’s gambling capital, is also now home (or will be soon) to a bevy of professional sports. The NHL Vegas Golden Knights recently began play in Sin City, and the Oakland Raiders are expected to relocate there for the 2020 season. After hearing arguments in December, the Supreme Court justices will discuss sports betting behind closed doors. 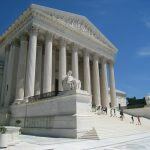 While the court is expected to release a written judgment, with both the majority and any dissenting opinions, the justices aren’t actually required to produce a decision after the oral arguments. If they do, the majority decision will be final. 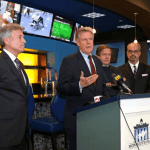 Should the high court come down on New Jersey’s side, 32 states might legalize sports betting over the next five years. A study from analysts Eilers & Krejcik Gaming found that numerous states would move to follow New Jersey’s lead in order to profit off a newly opened market that could generate $6 billion in annual revenue by 2022. 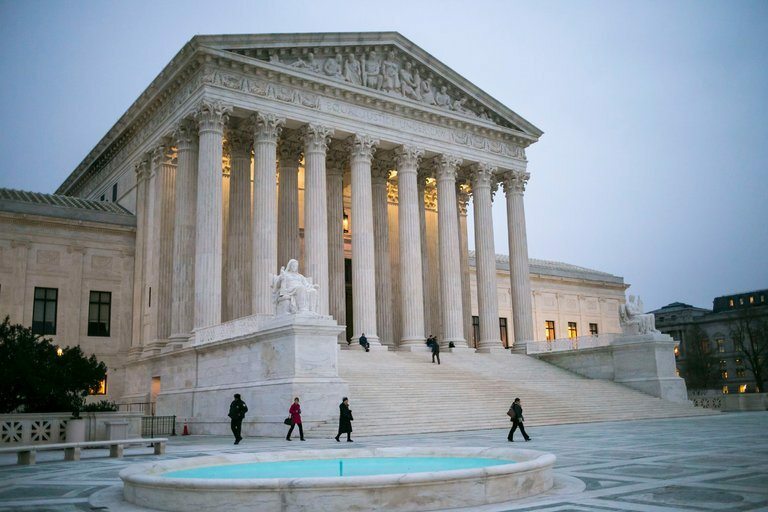 For that to happen, five of the nine Supreme Court justices will need to rule in New Jersey’s favor. Legal experts have said it’s unclear where the odds lie in relation to the sports gambling case. “I would not put money on anything, even if I legally could,” law professor Marc Edelman said in August.